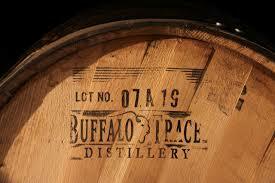 Private whiskey barrels have arrived in Vegas and Emeril Lagasse has them. Three of the celebrity chef’s restaurants (Delmonico Steakhouse, Table 10 and Emeril’s New Orleans Fish House) have launched cocktails featuring Buffalo Trace bourbon from their very own hand-selected, private whiskey barrel which they had delivered straight from Kentucky. The first private and hand selected bourbon barrel for Chef Emeril hopefully won’t be the last, and is estimated to yield approximately 145-165 bottles. Max Solano, the beverage manager at Delmonico, is a whiskey connoisseur who helped grow Lagasse’s whiskey program to more than 550 selections, including the highly coveted Pappy Van Winkle brand, from eight countries with 18 flight options.